ASCE YMF had the opportunity to visit SteppingUP’s summer program and speak to elementary through high schools students about engineering on Thursday, July 10th. SteppingUP is a program service provided by the Orange County Community Housing Corporation, a non-profit organization. This program encourages and assists to help low income families to improved education, improved job skills, and much more. During the summer, SteppingUP hosts a Speaker Series for the students on various career paths that are available. The goal is to encourage the students to start thinking about pursuing a higher education. ASCE YMF, with students from California State University, Long Beach (CSULB), did a Civil Engineering presentation. Having college students as one of the speakers really benefited the event because the high school students had someone closer in age talk to them about their college experience. It was definitely more relatable to the high school students when CSULB talked about their concrete canoes and steel bridges that they have designed and competed. 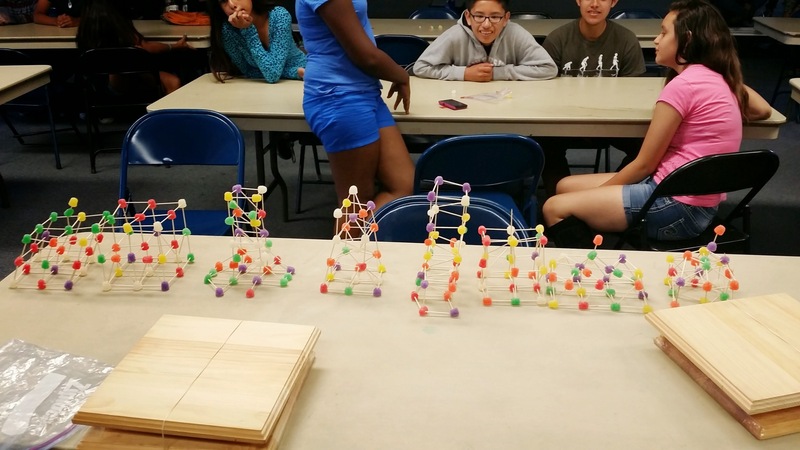 After the presentation, ASCE YMF did a gumdrop structure activity where younger and older students formed into groups to build a gumdrop structure. They had a wonderful time understanding the structural elements they had to consider when building the tower. 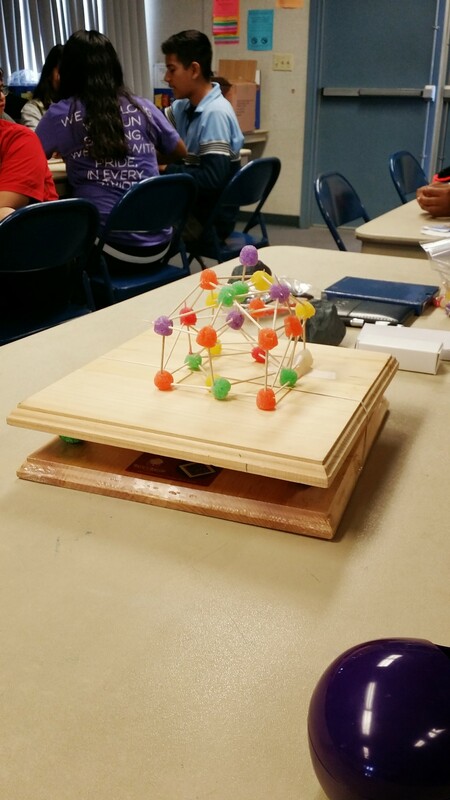 To make the activity more interesting, the structure was then placed under a “shake” table to see how well it withstood lateral forces. The students really enjoyed seeing how engineering can be applied to anything they could possibly think of. It was a wonderful time for ASCE to work with SteppingUP to reach out to students from low income families and looks forward to working with SteppingUP in the future.